Sovereign’s Dallas Pest Control exterminators have the experience and are certified trained experts that provide safe and effective pest control management services to protect your Dallas, Texas home. Sovereign’s Dallas Pest Control services include the management and extermination of termites, fleas, spiders, mosquitoes, mice, cockroaches, ants, and many other pest infestations. We are proud of our reputation of providing excellent customer service and support. For your convenience, our Dallas Pest Control exterminators offer Exact Time appointments allowing us to provide effective services that are convenient for your family’s schedule. In addition to serving the Dallas, Keller and Fort Worth areas, we also provide premium services to Collin County, Dallas County, Denton County, Rockwall County and Tarrant County. Don’t forget to check out our discounts on Specialty Service options and Current Specials. Are you living with pests in your home? Protect your home, family and pets. 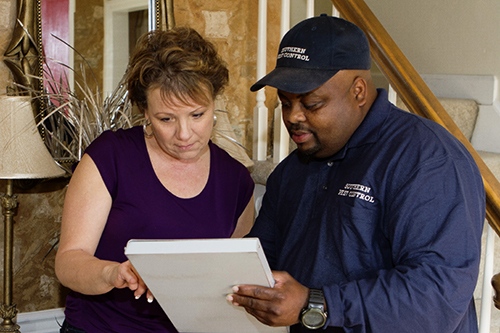 Contact our friendly Dallas Pest Control customer service representatives at Sovereign today for a no-obligation quote at no cost. 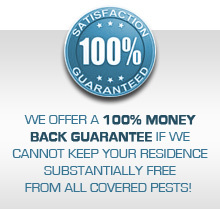 Don’t forget to inquire about our 100% money back guarantee for all Dallas Pest Control customers. Refer your Dallas Fort Worth friends, family and neighbors and save on your service. Ask about the $50 discount off yearly service for every referral that becomes a service plan customer. All you have to do is submit the information on the referral form.